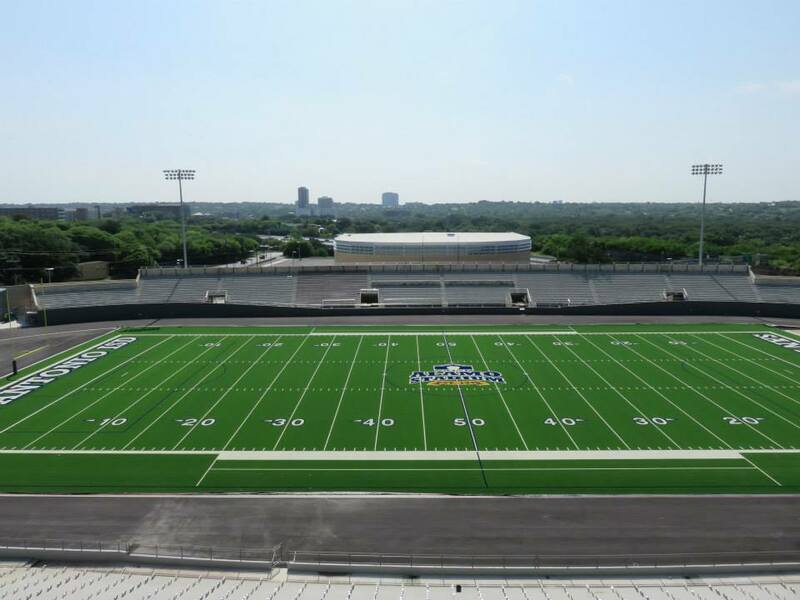 Memorial (2-3, 2-1) vs. Brackenridge (4-2, 3-1) at SAISD Sports Complex, 7 p.m.
Jefferson (2-4, 2-2) vs. Highlands (4-1, 2-1) at Alamo Stadium, 7 p.m.
McCollum (0-5, 0-0) vs. Eagle Pass Winn (1–4, 0-0) at Cozel-Foster Memorial Stadium, Eagle Pass, 7 p.m.
Austin Hyde Park (3-2, 1-0) at Austin St. Michael’s (2-4, 0-2), 7:30 p.m.
Clemens (5-0, 2-0) at New Braunfels Canyon (1-4, 1-1), 7:30 p.m.
Judson (5-0, 2-0) at East Central (0-5, 0-2), 7:30 p.m.
New Braunfels (4-1, 1-1) vs. Steele (1-4, 0-2) at Lehnhoff Stadium, 7:30 p.m.
Smithson Valley (5-0, 2-0) vs. Wagner (3-2, 0-2) at Rutledge Stadium, 7:30 p.m.
Laredo Alexander (1–4, 1–1) at Southwest (4-1, 2-0), 7:30 p.m.
Laredo LBJ (0-5, 0-2) at Del Rio (0-5, 0-2), 7:30 p.m.
Laredo United South (1-4, 1-1) vs. Laredo United (3-2, 2-0) at Student Activity Center Field, Laredo, 7:30 p.m.
South San (3-2, 0-2) vs. Eagle Pass (4-1, 2-0) at Cozel-Foster Memorial Stadium, Eagle Pass, 7:30 p.m.
Edison (1-4, 1-2) vs. Burbank (3-3, 3-1) at SAISD Sports Complex, 7:30 p.m.
Sam Houston (2–4, 2–2) vs. Lanier (1–4, 1–2) at Alamo Stadium, 7:30 p.m.
Floresville (2–3, 0-0) vs. Harlandale (0-5, 0-0) at Harlandale Memorial Stadium, 7:30 p.m.
Uvalde (3–2, 0-0) at Southside (3–2, 0-0), 7:30 p.m. Cornerstone Christian (3-2, 0-2) at Austin Regents (5-0, 1-0), 7:30 p.m.
Boerne Geneva (4-1, 0-1) at St. Gerard (2-4, 0-2), 7:30 p.m.
Hallettsville Sacred Heart (1-4, 1-1) at San Marcos Academy (1-5, 1-1), 7:30 p.m.
Shiner St. Paul (5-0, 2-0) at Schertz John Paul II (2-3, 1-0), 7:30 p.m.
Athlos Academy (0-0 ???) vs. Brooks Academy (0-5) at Brooks Collegiate Academy, 7 p.m.
Houston St. Thomas (1–3) at Central Catholic (5–1), 7:30 p.m.
San Antonio Christian (3-1, 2-0) vs. Holy Cross (5-1, 2-0) at Harlandale Memorial Stadium, 7 p.m.
Eagle Pass vs. Laredo United South at Student Activity Center Field, Laredo, 7 p.m.
Lanier vs. Edison at Alamo Stadium, 7 p.m.
Clemens at Smithson Valley, 7:30 p.m.
East Central at New Braunfels, 7:30 p.m.
New Braunfels Canyon vs. Steele at Lehnhoff Stadium, 7:30 p.m.
Wagner vs. Judson at Rutledge Stadium, 7:30 p.m.
Del Rio at South San, 7:30 p.m.
Laredo Alexander vs. Laredo LBJ at Student Activity Center Field, Laredo, 7:30 p.m.
Burbank vs. Memorial at Edgewood Veterans Stadium, 7:30 p.m.
Kennedy vs. Jefferson at Alamo Stadium, 7:30 p.m.
Highlands vs. Sam Houston at SAISD Sports Complex, 7:30 p.m.
Floresville vs. McCollum at Harlandale Memorial Stadium, 7:30 p.m.
Harlandale at Uvalde, 7:30 p.m.
Southside vs. Eagle Pass Winn at Cozel-Foster Memorial Stadium, 7:30 p.m.
Holy Cross at Austin Regents, 7 p.m.
Austin Hyde Park at Cornerstone Christian, 7:30 p.m.
San Antonio Christian at St. Mary’s Hall, 7:30 p.m.
Schertz John Paul II at Hallettsville Sacred Heart, 7:30 p.m.
St. Gerard at Shiner St. Paul Catholic, 7:30 p.m.
Southwest vs. Laredo United at Student Activity Center Field, Laredo, 7 p.m.
Austin Brentwood Christian at Boerne Geneva. 1 p.m.
Laredo United South at Del Rio, 7 p.m.
Edison vs. Highlands at Alamo Stadium, 7 p.m.
Judson vs. Clemens at Lehnhoff Stadium, 7:30 p.m.
New Braunfels vs. Wagner at Rutledge Stadium, 7:30 p.m.
Smithson Valley at New Braunfels Canyon, 7:30 p.m.
Steele at East Central, 7:30 p.m.
Laredo LBJ at Southwest, 7:30 p.m.
South San vs. Laredo Alexander at Student Activity Center Field, Laredo, 7:30 p.m.
Laredo United vs. Eagle Pass at Cozel-Foster Memorial Stadium, 7:30 p.m.
Brackenridge vs. Burbank at SAISD Sports Complex, 7:30 p.m.
Memorial vs. Lanier at Alamo Stadium, 7:30 p.m.
Sam Houston vs. Kennedy at Edgewood Veterans Stadium, 7:30 p.m.
Eagle Pass Winn vs. Harlandale at Harlandale Memorial Stadium, 7:30 p.m.
McCollum at Southside, 7:30 p.m.
Uvalde at Floresville, 7:30 p.m.
Central Catholic at Brownsville St. Joseph, 7:30 p.m.
St. Mary’s Hall at Austin Regents, 7 p.m.
San Antonio Christian at Austin Hyde Park, 7 p.m.
Austin St. Michael’s at Cornerstone Christian, 7:30 p.m.
Austin Brentwood Christian at Schertz John Paul II, 7:30 p.m.
Boerne Geneva at San Marcos Academy, 7:30 p.m.
Shiner St. Paul at Hallettsville Sacred Heart, 7:30 p.m.
Austin Eastside Memorial vs. Brooks Academy at Brooks Collegiate Academy, 7 p.m.
Southwest vs. Eagle Pass at Cozel-Foster Memorial Stadium, 7 p.m.
Jefferson vs. Sam Houston at Alamo Stadium, 7 p.m.
Clemens at New Braunfels, 7:30 p.m.
New Braunfels Canyon at East Central, 7:30 p.m.
Smithson Valley vs. Judson at Rutledge Stadium, 7:30 p.m.
Wagner vs. Steele at Lehnhoff Stadium, 7:30 p.m.
Del Rio vs. Laredo United at Student Activity Center Field, Laredo, 7 p.m.
Laredo Alexander vs. Laredo United South at Student Activity Center Field, Laredo, 7:30 p.m.
Laredo LBJ at South San, 7:30 p.m.
Highlands vs. Memorial at Edgewood Veterans Stadium, 7:30 p.m.
Kennedy vs. Edison at Alamo Stadium, 7:30 p.m.
Lanier vs. Brackenridge at SAISD Sports Complex, 7:30 p.m.
Floresville vs. Eagle Pass Winn at Cozel-Foster Memorial Stadium, 7:30 p.m.
Harlandale at Southside, 7:30 p.m.
Uvalde vs. McCollum at Harlandale Memorial Stadium, 7:30 p.m.
Antonian at Central Catholic, 7:30 p.m.
Holy Cross at Austin Hyde Park, 7 p.m.
Austin Regents at San Antonio Christian, 7:30 p.m.
Austin St. Michael’s at Saint Mary’s Hall, 7:30 p.m.
Hallettsville Sacred Heart at Boerne Geneva, 7:30 p.m.
San Marcos Academy at Austin Brentwood Christian, 7:30 p.m.
Schertz John Paul II at St. Gerard, 7:30 p.m.
Brooks Academy at Sabinal, 7 p.m.
Laredo United South vs. Laredo LBJ at Student Activity Center Field, Laredo, 7 p.m.
Burbank vs. Lanier at Alamo Stadium, 7 p.m.
East Central at Wagner, 7:30 p.m.
Judson at New Braunfels Canyon, 7:30 p.m.
New Braunfels at Smithson Valley, 7:30 p.m.
Steele vs. Clemens, 7:30 p.m.
Eagle Pass at Del Rio, 7:30 p.m.
Laredo United vs. Laredo Alexander at Student Activity Center Field, Laredo, 7:30 p.m.
South San at Southwest, 7:30 p.m.
Brackenridge vs. Highlands at SAISD Sports Complex, 7:30 p.m.
Eagle Pass Winn at Uvalde, 7:30 p.m.
Southside at Floresville, 7:30 p.m.
Brownsville St. Joseph at Antonian, 7:30 p.m.
Austin Hyde Park at Austin Regents, 7 p.m.
St. Mary’s Hall at Cornerstone Christian, 7 p.m.
Boerne Geneva at Schertz John Paul II, 7:30 p.m.
St. Gerard at Austin Brentwood Christian, 7:30 p.m.
San Marcos Academy at Shiner St. Paul, 7:30 p.m.
Fort Worth All Saints at Central Catholic, 7:30 p.m.
Austin St. Michael’s vs. Holy Cross at Harlandale Memorial Stadium, 7:30 p.m.